TaoYoga is an ancient Taoist Yoga of mind-body harmony that uses gentle movement, stretches, breath work, visualization and meditation to balance, strengthen and heal the body. Its practice spans 3,000 years of continuous development and refinement, and include in-depth methods of self-healing and spiritual development. Tao Yoga cultivates and awakens the "Qi" or Universal Healing Energy within the practitioner; Qi can be thought of as the underlying essence of all life and the very fabric of the universe. This healing energy will then circulate through the energy centers and channels of the body, from which one may gain vital health, increased stamina, inner peace, healing from chronic illness, rejuvenation and spiritual awakening. The art of Tao Yoga was practiced by the Taoist Immortals living in the Sacred Mountains of China in ancient times to aid their quest for understanding reality and the secrets of human existence. Our TaoYoga Arts™ System we practice and teach was organized, created and founded by Jesse Lee Parker, after more than 25 years of research and practice of Taoist Yoga, Qigong, Healing Arts and the Internal Martial Arts. TaoYoga Arts™ System is truly ancient wisdom that we may use to enhance our life experience in these stressful modern times. TaoYoga Practice gives one a youthful long life, radiant beauty, a soft and flexible body,positive outlook, resistance to disease, the ability of self healing, and the uncovering of one's True Nature. TaoYoga is easy to learn and anyone can benefit from this ancient Wisdom Tradition of Natural Healing and Spiritual Development. At a higher level, TaoYoga helps each of us to discover our True Self and uncover our True Spiritual Nature. TaoYoga contains the practice of meditation, Taoist Yoga stretches, gentle flowing movements, breath training, visualization and positive thinking methods. 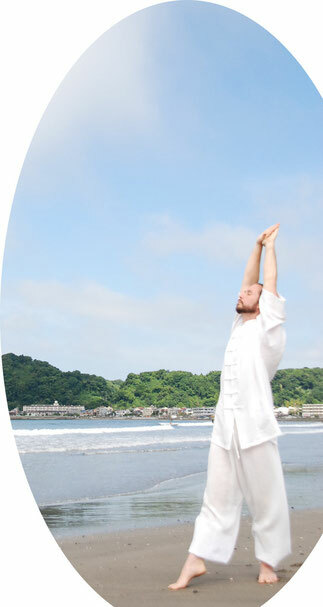 TaoYoga is a Natural Science of Life. 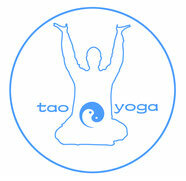 At the heart of TaoYoga is the essence of "Qi" or Universal Healing Energy. Qi is the Unified Energy Field that empowers, permeates and supports all life, nature and the universe. When we are able to have abundant Qi we experience health; when our Qi is deficient, we experience sickness and disease. Qi can also be viewed as the bridge to obtaining mind / body harmony and spiritual awakening. TaoYoga opens us to this Universal Healing Energy and causes it to circulate in a smooth, flowing manner through the network of energy channels within the body system -- thus giving one vital health, relaxation, inner peace and self healing. The TaoYoga Arts™ System is a unique and original style, influenced by ancient principles of Taoist Practice and Philosophy, yet arranged for modern people living in these complex times.